Maple Trees, Kombucha, and Fun on the Farm! Winter CSA offerings are once again market-style this week, as this has been our most popular option that we have given. There will be tomatoes, kombucha, and bread (of course!). We are so appreciative of all those who have tried a Winter CSA with us this season, and we hope you are enjoying this program and what we have offered so far! If you have liked what you have received, consider leaving a review on Facebook, Google, Local Harvest, etc for any potential customers who might want to join us, either for a Winter or Spring/Summer share, but who aren’t sure what to expect. CSA shares are filling fast for the 2014 growing season! If interested in joining our farm family, please check out the ‘CSA’ tab at the top of the page to find out more information!! We want to thank all of our returning customers, and we also welcome all of the new friends who are joining us for the first time! We have another class this week, which is a follow up to the Tapping Maple Trees class we had last Saturday, and the class is Making Maple Syrup, and it will be held on Saturday, March 1st at 10:00am. 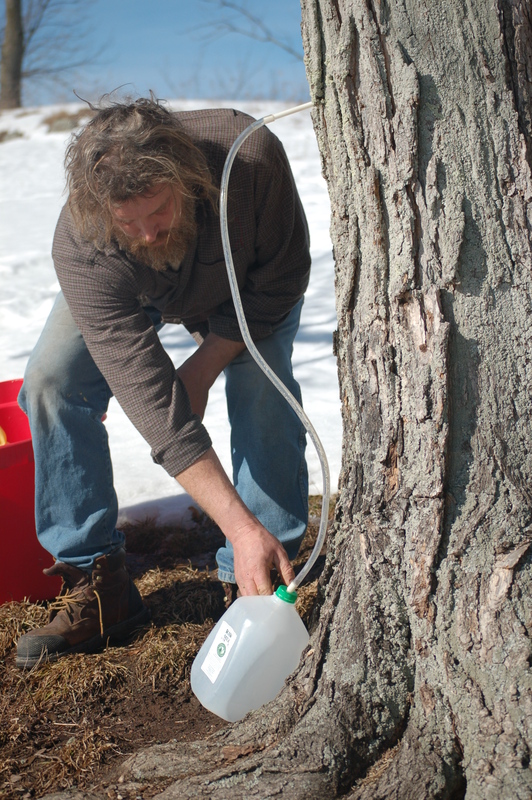 Our Tapping Maple Trees class was very well attended, and a great time was had by all! 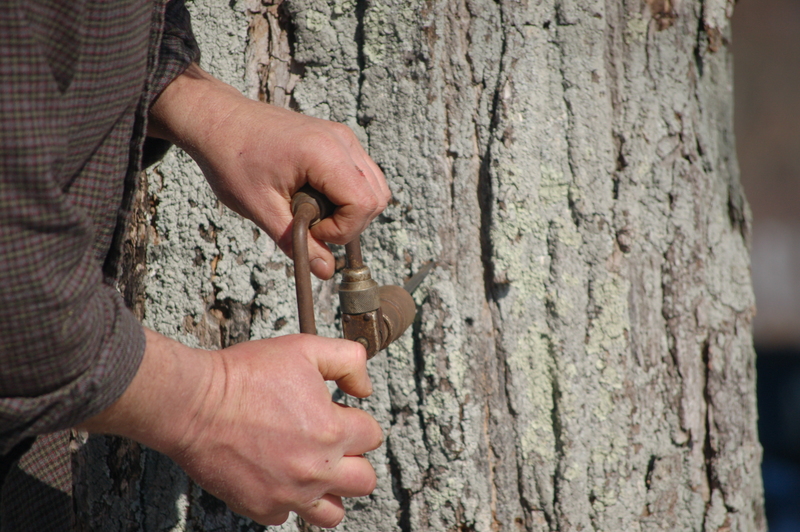 Participants learned how to tap maple trees for their sugary sap, which will be processed into delicious maple syrup. 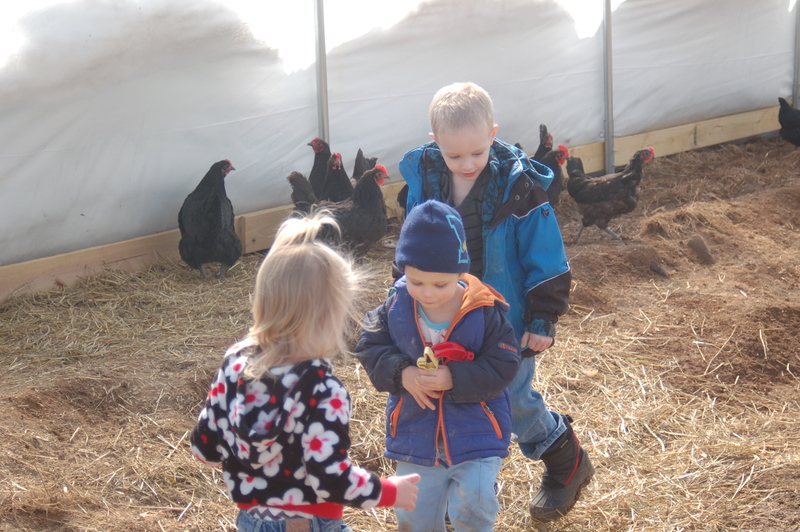 We also toured the farm, which involved visits to the barn, the chickens, our greenhouse, and our hoophouse! We even had some kombucha on hand for everyone to taste and try! (A few even brought some kombucha “babies” home to make it themselves!) So glad the weather cooperated so we could walk in warmer temperatures! 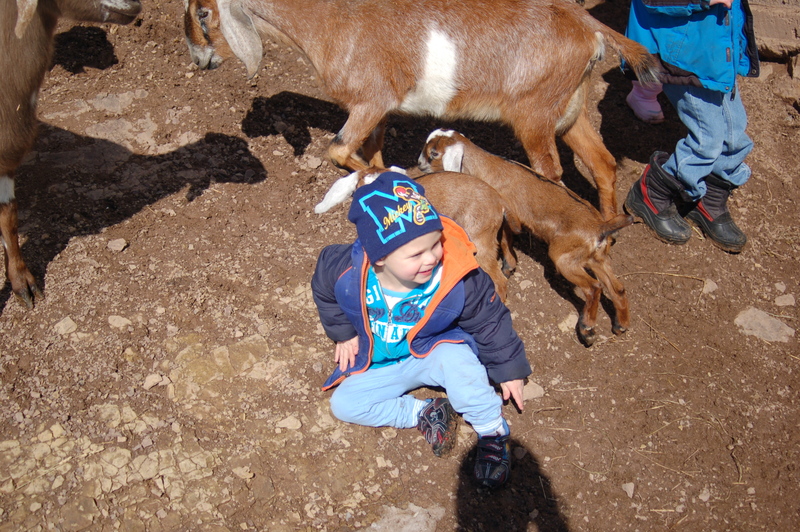 Here are some pictures of our class for you to enjoy! Have a great week! 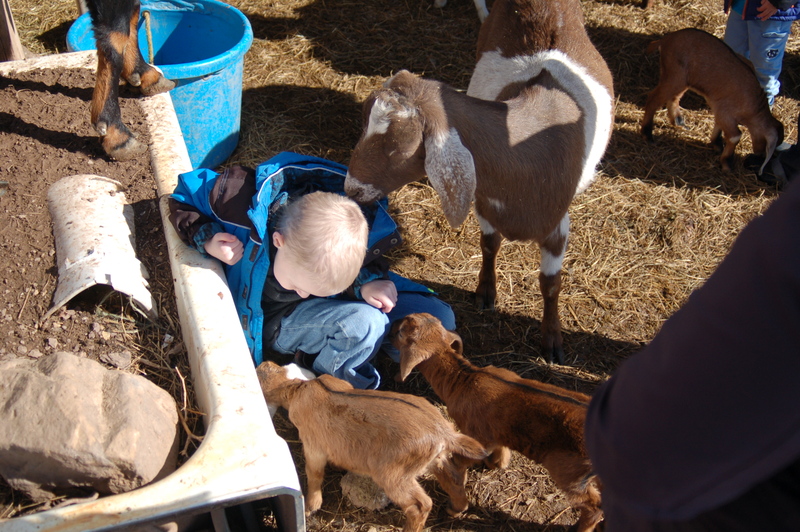 Yes, We Have Even More Baby Goats (And Tomatoes)! I can pretend that it’s spring, can’t I?